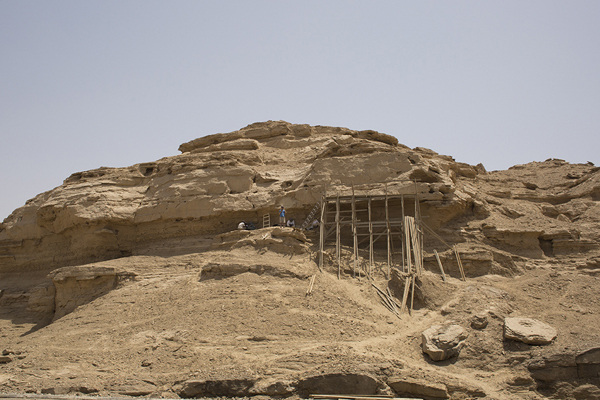 An archaeological mission from Yale University has discovered a new rock inscription site near the village of El-Khawy near Luxor, during their excavation work on the Elkab Desert Survey Project in collaboration with the Ministry of Antiquities. The inscriptions range in date from the early Predynastic Period, which spanned approx. 4,000 to 3,500 BC, through to the Old Kingdom (approx. 2,686 BC to 2181 BC). 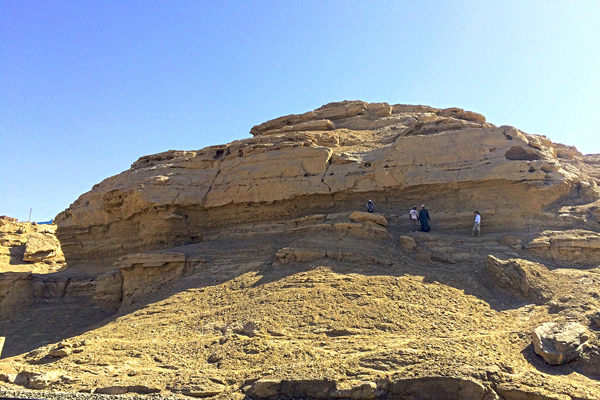 The village of El-Khawy is located approximately 7km north of the ancient city of Elkab and 60km south of Luxor. Mahmoud Afifi, head of the Ancient Egyptian Antiquities Section at the ministry explained that the site is composed of several panels of rock art and inscriptions which include some of the earliest—and largest—signs from the formative stages of the hieroglyphic script, and provides evidence for how the ancient Egyptians invented their unique writing system. Hani Abu ElAzem, head of the Central Department of Upper Egypt Antiquities, described the discovery as important because it helps in understanding the development of a system of graphic communication, which sets the stage for the appearance of true hieroglyphic writing in Upper Egypt in approx. 3,250 BC. He continued that the mission also discovered a panel of four signs, written right to left (the dominant writing direction in later Egyptian texts) featuring a bull’s head on a short pole, followed by two back-to-back saddle bill storks with a bald ibis above and between them. This panel is one of the largest yet discovered from Dynasty 0. Darnell continues that rock art in the Eastern and Western deserts of Egypt demonstrates that ancient artists often interacted with earlier images—clustering similar images or images with related meanings on the same rock surface. “These symbols are not phonetic writing, but appear to provide the intellectual background for moving from depictions of the natural world to hieroglyphs that wrote the sounds of the ancient Egyptian language,” Darnell said, adding that the newly discovered inscriptions at El-Khawy provide another example of this important transitional phase. The team of archaeologists located these inscriptions by mapping out routes based on road networks in Egypt. 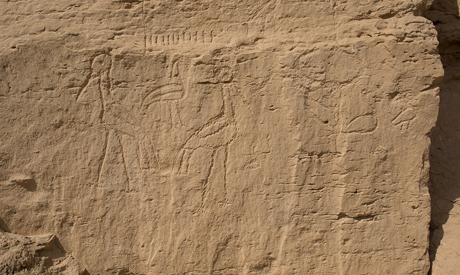 Most rock inscriptions in Egypt, Darnell said, are not randomly placed; they are placed along major roads, either roads that parallel the Nile or roads that head out into the desert. They are usually at a juncture or crossroads. “Any place where someone might pause in their journey,” said Darnell. Using a new recording technique pioneered at Yale, Darnell and Alberto Urcia, a digital archaeologist and associate research scientist in the Department of Near Eastern Languages and Civilizations, created a series of 3D images of the inscriptions from photographs taken in the field. “This new technology makes it possible to record sites at a level of accuracy and detail that was absolutely impossible before,” said Darnell.